I’m happy to say that my book is now available for pre-buy on Amazon! 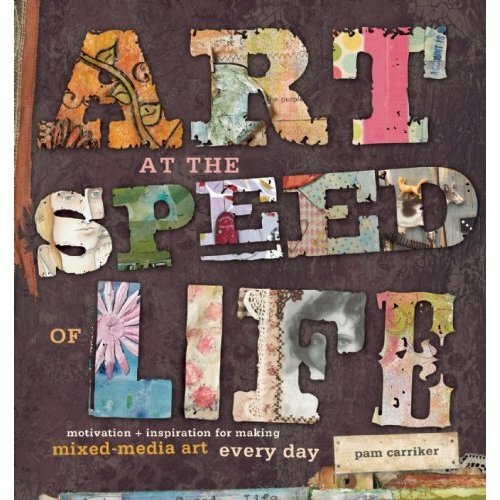 For those of you that were following the progress of my book on the Art at the Speed of Life blog, I’ve moved the content and links over here to the ‘Book’ page and discontinued the other blog. I hope you’ll continue following the journey of the book here and link to my website here. Thank you so much everyone for the encouraging words through this process, still a ways to go, but definitely getting there!! Congrats…can’t wait to see this on store shelves…and buy it!!!! Pam, congratulations on your latest baby! I’ve pre-ordered the book and can’t wait to read it! Just ordered two of them (for myself and a friend who loves your work too)! Can’t wait! I’ve pre-ordered mine already. I can’t wait until it come out. Thank you so much Pam for taking the time to do this and share your beautiful work with everyone. Going to Amazon now! Congrats! WOO HOO!!!! Congrats Pam!! Can;t wait to get it!